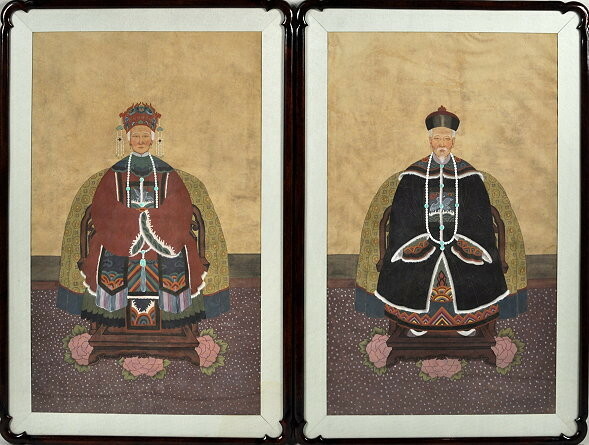 Very nice pair of framed oriental ancestral portraits of man and woman, on silk in good condtion with fine color, framed in notch corner wooden Asian style frames. Probably Chinese, late 19th century. Framed size 28" wide, 42" high.